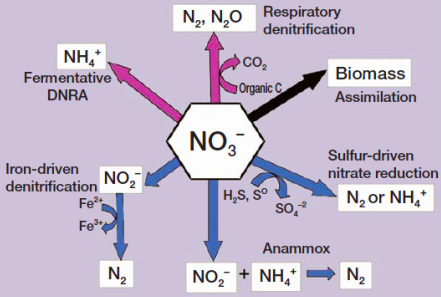 Conceptual model of nitrate removal pathways (from the 2007 Burgin & Hamilton paper in Frontiers in Ecology and Environment "Have we overemphasized the role of denitrification in aquatic ecosystems? A review of nitrate removal pathways"). We have performed several whole-stream isotopic enrichment experiments to study nitrogen cycling and food webs in Michigan streams as part of an intersite comparison involving biomes throughout North America, known as the Lotic Intersite Nitrogen Experiment (LINX). The original LINX experiments were done in 1997-98 and focused on food webs. A second generation of studies in 2002-2006 examined how human disturbances affect nitrate uptake and retention in streams. I have worked together with Dr. Jennifer Tank and her team from the University of Notre Dame on sites throughout the Kalamazoo River watershed. Dustin Kincaid showing off his mucky mitts in the Kellogg Forest pond. Photo by Steve Hamilton. I have an ongoing research program that examines how the hydrology of southern Michigan wetlands controls their biogeochemical and ecological characteristics, and how hydrological changes resulting from our changing climate may alter these ecosystems. A CAREER grant from NSF launched me into this research area. The area around KBS is excellent for comparative studies of wetlands because of the great diversity of these ecosystems. We have a large database of comprehensive hydrochemical variables in wetland waters that we are currently analyzing. We became interested in alternative nitrogen uptake processes, and my former PhD student Amy Burgin spearheaded our research on these processes in wetlands and streams. Another PhD student, Lauren Kinsman, is tackling the biogeochemistry of sediment phosphorus release in lakes and wetlands, funded by NSF. Related to this work and to the LINX project is an ongoing investigation of biogeochemical processes in wetlands that experience hydrological through-flow, such as impoundments along stream courses, led by my postdoc Jon O'Brien, who is now at the University of Canterbury in New Zealand. 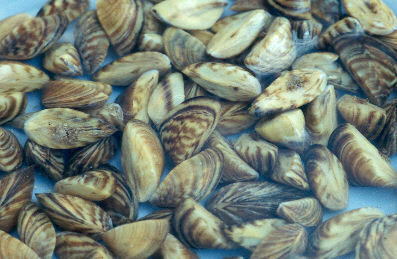 Zebra mussels, photo by A. Bensen (USGS, http://nas.er.usgs.gov /queries/factsheet.aspx?speciesid=5). I am working with Dr. Orlando Sarnelle of MSU's Dept. of Fisheries and Wildlife and others to study the ecological impacts of zebra mussels (Dreissena polymorpha), an exotic species presently spreading into our inland lakes. We are particularly interested in the possible link between the mussels and the recent occurrence of noxious blue-green algal blooms in lakes that were formerly considered to be oligotrophic (i.e., low potential for algal production). 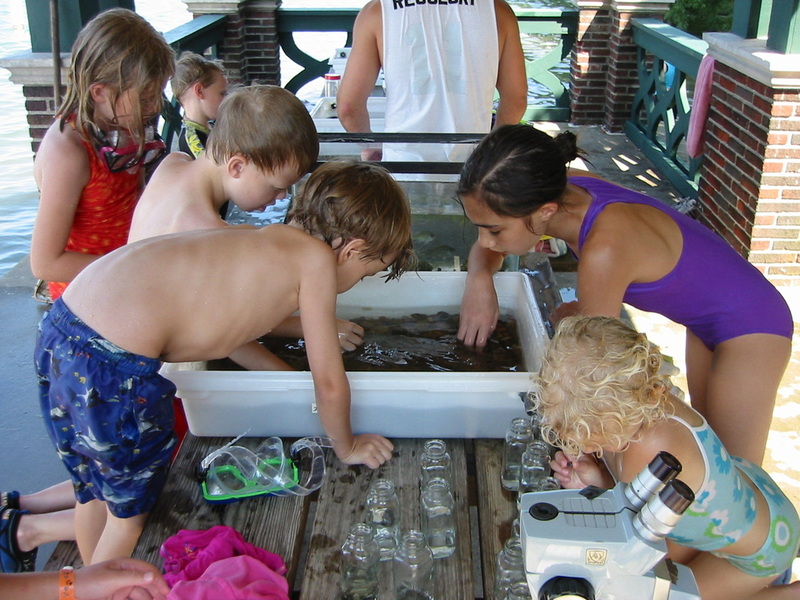 This research has included several experiments in large mesocosms, as well as surveys of lakes with and without the mussels, and has been funded by the National Sea Grant Program, the Kalamazoo Community Foundation, and the U.S. EPA through the Ecology of Harmful Algal Blooms program. 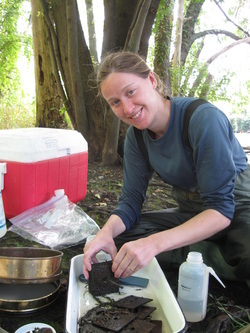 Micaleila Desotelle processing macroinvertebrate samples from the Kalamazoo River (photo by Dave Weed). KBS lies in the watershed of the Kalamazoo River. One of my Master's students (Nicole Reid) studied the biogeochemistry of the river's reservoirs in the context of nutrient loading and eutrophication. Currently, my PhD student Leila Desotelle is investigating how algal growth in the reservoirs subsidizes downstream food webs. In addition, she is investigating the ecological ramifications of a major oil spill into the river in summer 2010, caused by a ruptured pipeline. Lime application at the LTER. Photo by Julie Doll. Since 1998 I have been one of the principal investigators on the Long-Term Ecological Research project at Kellogg Biological Station, which focuses on agricultural ecology, and I served as Lead PI from 2016-18. Another major research program at MSU and KBS is the DOE-funded Great Lakes Bioenergy Research Center. 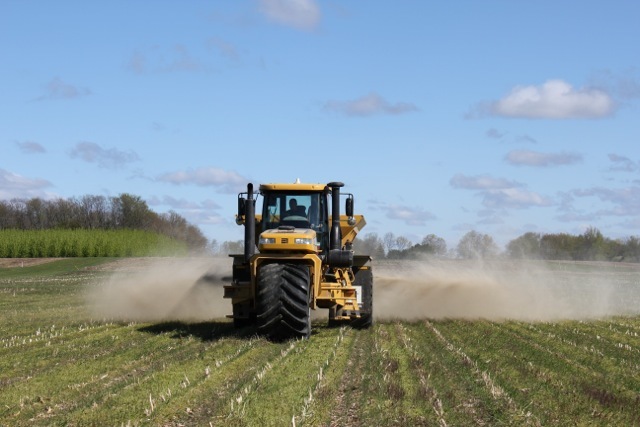 At KBS we are investigating the environmental sustainability of proposed biofuel crops, ranging from conventional corn through grass monocultures and prairie polycultures and even tree plantations. I am leading the biogeochemical and hydrological aspects of this work, working together with Dr. Phil Robertson. Much of my previous research has focused on South American rivers and floodplains, and I have had the opportunity to work on diverse topics in several river systems. During the 1990's, I worked in the Pantanal wetland of Brazil in collaboration with the Brazilian Center for Agricultural Research in the Pantanal. My research in the Pantanal has examined the biogeochemistry of wetland waters, methane production, floodplain hydrology, and remote sensing of inundation. 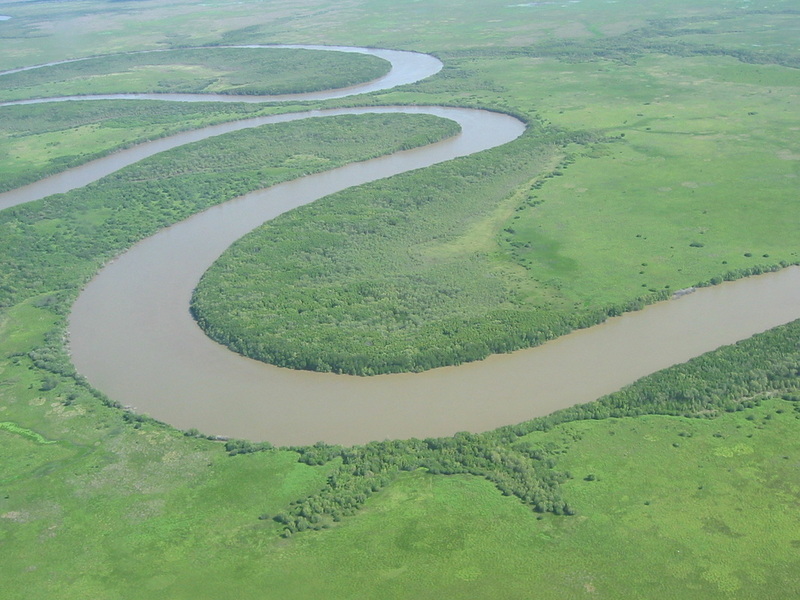 Suzanne Sippel and I extended our work with passive microwave remote sensing to examine inundation patterns in all of the major floodplains of the continent, and in 2002 we published a synthesis paper on this work. Three Brazilian PhD students have spent several months working with me on data analysis and interpretation. In 2002 I spent my sabbatical leave at Griffith University in Queensland, Australia, working with Dr. Stuart Bunn on dryland river ecosystems. We conducted a hydrological investigation of "waterholes" (deeper channel segments with permanent water) of the Cooper Creek system, in which we determined the relative importance of river flooding and local groundwater inputs.I have since been involved in science planning for rivers and watersheds of the tropical north. In 2008-2009 I returned for another year on sabbatical in Australia, working on tropical rivers and wetlands, with sponsorship from the Australian government in the form of a Commonwealth Environmental Research Fellowship. For several years we had a research project on the Napo River in Peru and Ecuador, led by my PhD student Jorge Celi. Our goal is to improve our understanding of the hydrological connectivity between the river and its vast fringing wetlands and floodplains. This is critically needed information because there are proposals for developing the Napo River into a major waterway for industrial barge transport, which would entail alterations such as dredging and perhaps straightening the channel. I have also been working with a team based at Yale, including Chris Dutton and Amanda Subalusky (both now at FIU), David Post, and Emma Rosi (Cary Institute), to study the effects of the hippopotamus on the water quality and biogeochemistry of rivers of the Massai Mara Reserve in Kenya. Presently I have been thinking more about dams, both large and small. I am working with Brazilian researchers on small hydropower in the watershed of the Pantanal wetland, and on large dams on the Madeira River. I am also involved in a working group based at Cornell that is seeking to develop new approaches for basinwide assessment and planning of large dams in Amazon region. Caption. Photo by Steve Hamilton. "Proposed Andean headwater dams an ecological calamity for Amazon Basin"